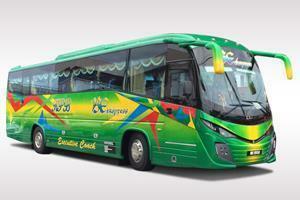 Sin Yong Express is one of the reputable express bus agent in Johor Bahru. Even though Sin Yong Express is relatively young in the express bus industry and they do not own the bus, they have managed to emerge as one of the top managed express bus agent in the Johor Bahru. Sin Yong Express specializes in offering express bus from satellite towns in Johor Bahru to northern area of Peninsular Malaysia. The satellite towns departure points in Johor Bahru includes Johor Jaya, Tun Aminah and Sri Putri (Skudai). The destinations in northern area of Peninsular Malaysia includes but not limited to Bidor, Kampar, Ipoh, Sitiawan, Lumut, Ayer Tawar, Taiping, Bagan Serai, Parit Buntar, Nibong Tebal, Bukit Mertajam, Butterworth, Kulim, Sungai Petani, Alor Setar, Gua Gurun, Kuala Perlis, Kangar etc. Currently, Sin Yong Express charters a fleet of around 6 buses operating between Johor Bahru and northern cities on daily basis. 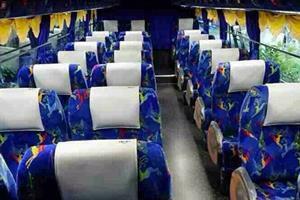 Their modern coaches are equipped with air conditioner, reclining seat and sufficient leg space between the seats. Sin Yong Express is famous in providing good customer service, professional driver and safe journey to destination for their passengers. Staffs and drivers are carefully selected and professionally managed by Sin Yong Express Management, in order to achieve Sin Yong Express’s commitment towards service excellence.